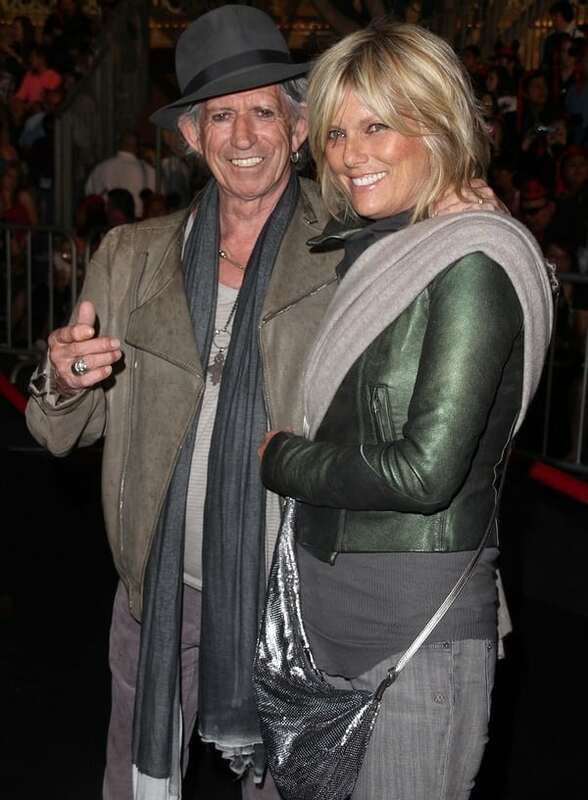 Norwegian-American model Patti Hansen met Rolling Stones guitarist Keith Richards at Studio 54 in 1979. It seems she had no idea who he was at the time. He fell in love with her. They married four years later, on his 40th birthday, and had two daughters, Theodora and Alexandra, soon after. Patti believes her marriage to Keith has survived through all of the years and the ups and downs because they share the same working-class roots and values.